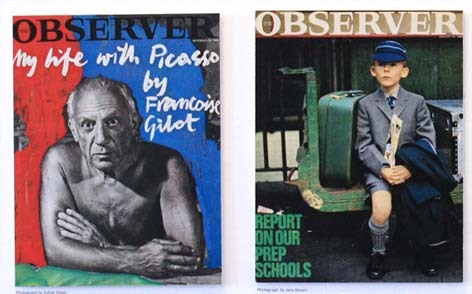 A retrospective of work by graphic designer Romek Marber for Penguin books, The Economist, New Society, Town and Queen magazines, Nicholson’s London Guides, BBC TV, Columbia Pictures, London Planetarium and others. Romek Marber has lived and worked through extraordinary times. Born in 1925, as teenager in 1939, Marber was deported to the Bochnia ghetto. Three years later, he was saved from being transported to the Belzec death camp by the actions of a sergeant Kurzbach, the commander of the forced-labour workshop in the town. Marber inherited a deep understanding of the power of visual language and saw the rural idyll of his birthplace annihilated by the forces of Nazism. Landing in England, in 1946 he was one of the group of European émigrés whose acute graphic vision, and distinct sense of modernity, served to enrich British design and design education. Having worked on covers for The Economist, in 1961 Penguin\’s Germano Facetti commissioned the young designer to design two book covers for the author Simeon Potter before giving Marber the chance to work across an entire sequence of titles for Penguin Crime. His work is permanently conserved in the Design Archive of the Victoria and Albert Museum. When he retired in 1989, as a Professor Emeritus from Middlesex University (nee Hornsey College of Art), Romek Marber left one of the UK’s most vibrant schools of graphic art and design. Over a long career his work has contributed significantly to Britain’s place at the centre of global design community. via Romek Marber Exhibition | March 2014 | University of Brighton – Faculty of Arts. This entry was posted on January 30, 2014 by mptask in April 2014, March 2014, University of Brighton Gallery and tagged art exhibition, brighton, graphic design, Penguin books, Romek Marber, University of Brighton.